This study aims at uncovering intra-organizational dynamics in implementing supply chain partnering. Narrative techniques are used in a qualitative case study in a Dutch housing association. 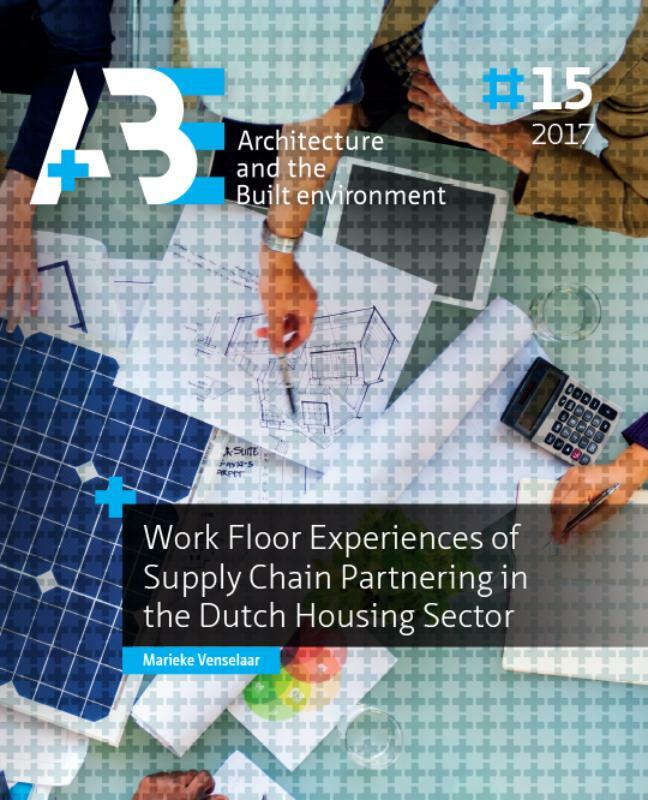 This study shows how project leaders of a Dutch Housing Association perceive relationships in the internal supply chain and the strategies that they develop to cope with these relationships. Furthermore, it is argued that key values of SCP as understood by the project leaders - such as sharing responsibilities and addressing feedback towards each other openly - are not applied in intraorganizational relationships. VENSELAAR, Marieke; GRUIS, Vincent. Studying intra-organizational dynamics in implementing supply chain partnering. A+BE | Architecture and the Built Environment, [S.l. ], n. 15, p. 99-122, dec. 2018. ISSN 2214-7233. Available at: <https://journals.open.tudelft.nl/index.php/abe/article/view/3609>. Date accessed: 26 apr. 2019. doi: https://doi.org/10.7480/abe.2017.15.3609.